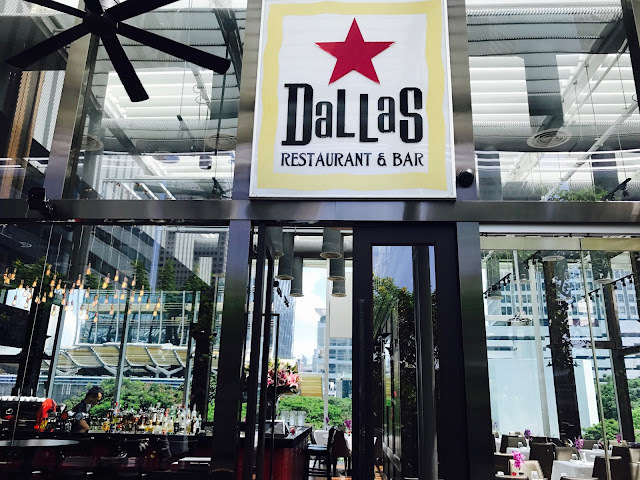 Following the success of the first Dallas Restaurant & Bar at Boat Quay, Dallas Restaurant & Bar has opened another outlet in the Sky Garden which is located on the third floor of Suntec City Mall. 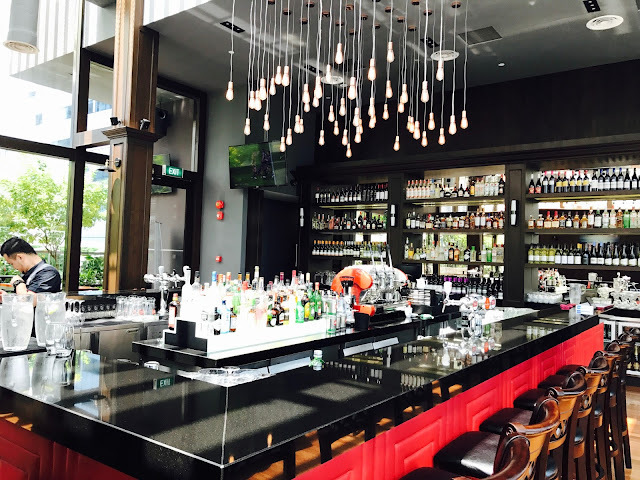 Dallas Restaurant & Bar is a contemporary restaurant that offers a great selection of hearty meals, bar bites with a modern flair, a good selection of wines and a variety of beers and liquors to satisfy your thirst. 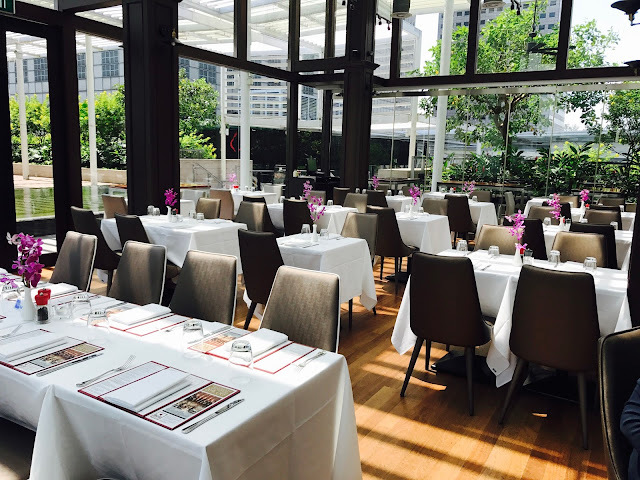 Located at the Suntec City Sky Garden between Tower One and Tower 5, the glass-house designed restaurant offers a spectacular 360-degree view of the surrounding city. Upon entering the restaurant, you will be greeted with an impressive island bar with gleaming black marble top, ceiling-to-floor marble display and leather high-chairs. The restaurant can accommodate 250-300 people and an experienced events team that will make any private dining, family celebration or cooperate Lunch a breeze. Salt and Pepper Calamari is the signature appetizer for a good reason. The Crispy Calamari Fritter I recently had at Alt. Pizza is nice, but this brings the humble calamari to a whole new level. The squid inside is amazingly soft and tender without the chewiness found in most calamari, marinated and coated in a crispy yet thin coating. There is a slight sweetness to it, probably from the salt and pepper that is sprinkled on. I will gladly come back to Dallas Restaurant & Bar for this alone. Dallas Restaurant & Bar offers set meals with a menu that changes every month. 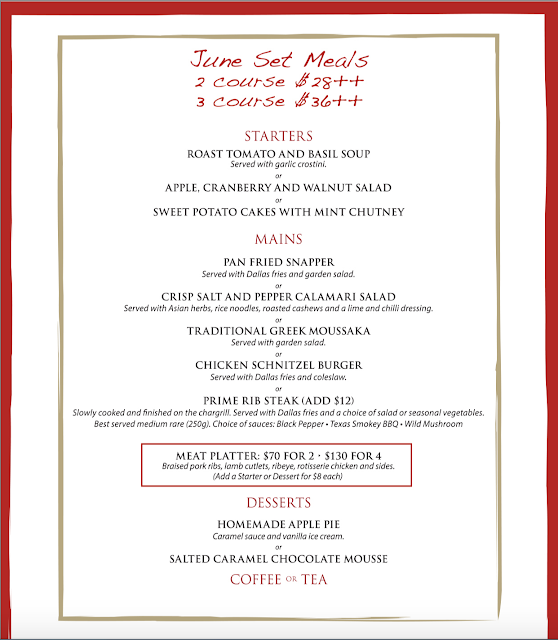 For the month of June, we have set meals priced at $28++ for a two-course meal and $36++ for a three-course meal. With set meals like this, dining at Dallas Restaurant & Bar becomes affordable. 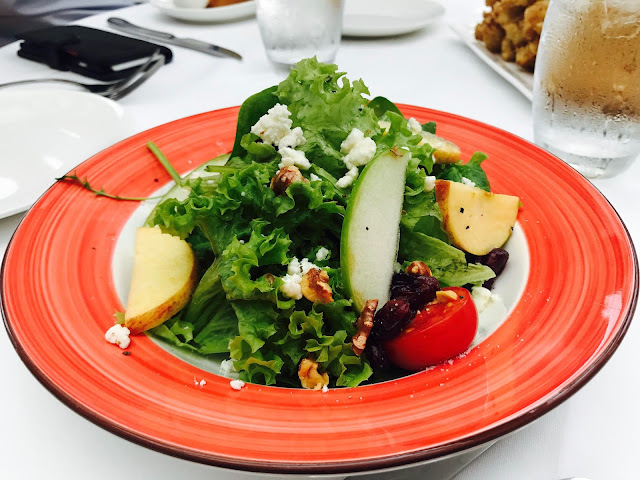 As the name implies, this Apple, Cranberry and Walnut Salad is a salad of apple slices, dried cranberries, chopped walnuts and bits of feta cheese on a bed of fresh and green crispy lettuce. A healthy way to start a great meal. 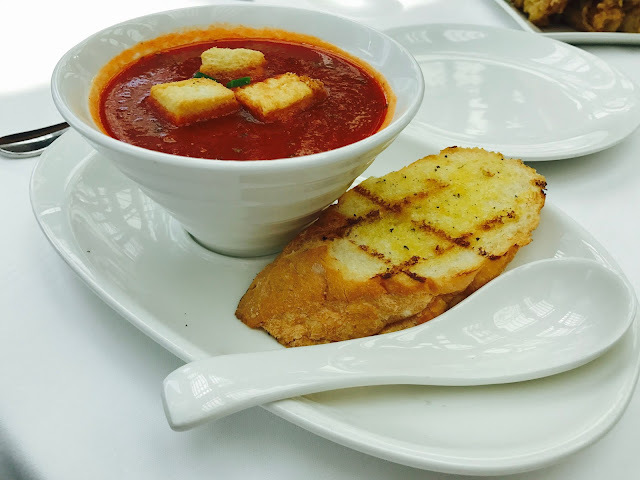 Roast Tomato and Basil Soup is a thick soup made of blended tomatoes with basil. It is really quite sour, which makes it a great appetizer. Perhaps a scoop of cream might help? 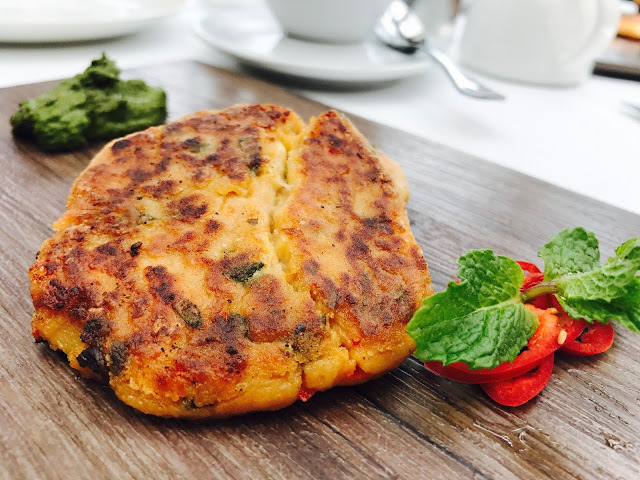 Sweet Potato Cakes with Mint Chutney is a little over-spiced that I can’t really taste the sweetness of the sweet potatoes. 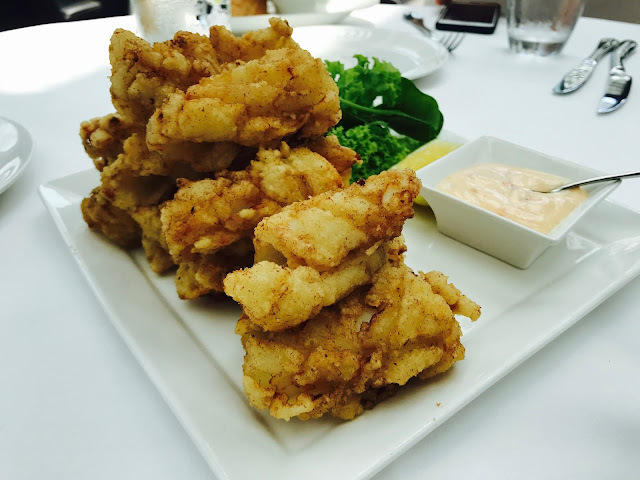 Although there are 4 other mains to choose from: Pan Fried Snapper, Crispy Salt and Pepper Calamari Salad, Traditional Greek Moussaka and Chicken Schnitzel Burger, everyone at the table unanimously ordered Prime Rib Steak. 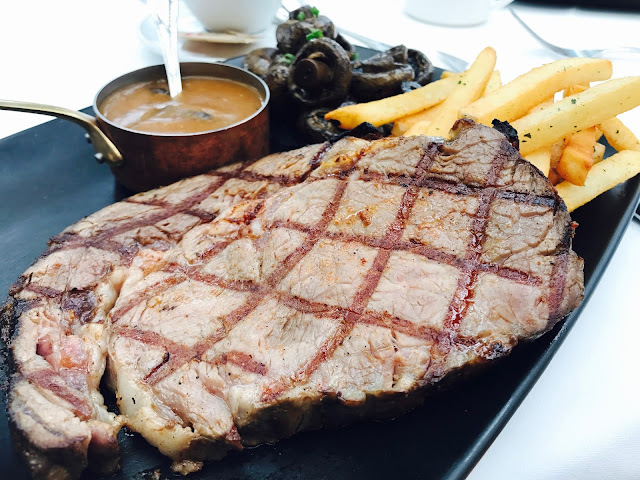 The beef has been slow-cooked for 15 hours in the oven and chargilled before being served with a choice of Black Pepper/Texas Smokey BBQ/Wild Mushroom, Dallas fries and either salad or seasonal vegetables, best-served medium-rare. The slow-cooking has evenly cooked the beef so there will not be any bloody mess with a beautiful pink centre when served at medium-rare. I personally feel that the Wild Mushroom sauce is too bland and it does little in enhancing the already perfect beef, and the seasonal vegetable which happened to be sautéed mushrooms, are fresh and juicy but could use a little more seasoning. The 250g portion is a little too big for our Asian stomachs, just doggy-bag the rest of the steak for a wonderful beef sandwich for breakfast the next morning. 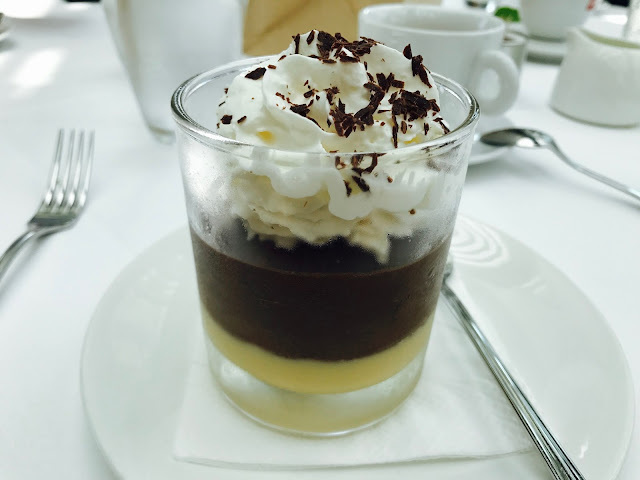 When I ordered Salted Caramel Chocolate Mousse, I was expecting a soft light chocolate dessert and not this cup of melted chocolate which is too rich, especially after that huge serving of Prime Rib Steak. 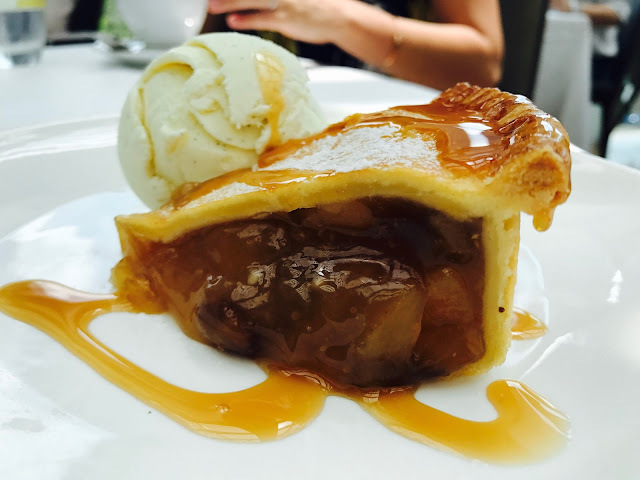 Homemade Apple Pie is a little sourish, which is nicely balanced out by the scoop of creamy vanilla ice-cream and caramel sauce that accompanies it.